JAMES Y. DAVIS. The following biographical sketch is a memorial offered as a loving tribute by the widow who was for many years the loving companion and helpmate of James Y. Davis, and is intended to preserve a few facts for his children and friends that may be of interest in years to come. Mr. Davis died April 5, 1884. That he was a good and useful citizen whose life had not been spent in vain was attested by the fact that he was generally mourned by those who were comparative strangers to his personal life, as well as by the members of his family. 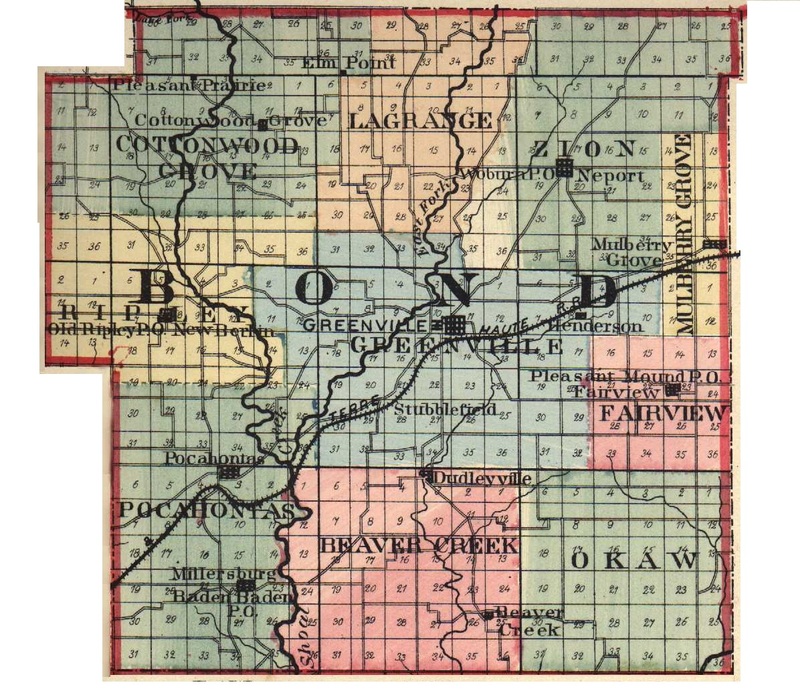 Mr. Davis was born at Bethel, or on the site of what is now Reno, Bond County, this State, November 14, 1842. He was a son of Ira B. and Eda (Harned) Davis, both natives of Tennessee, who settled in Bond County in early years. After some severe trials in pioneer work, the father died in July, 1877. The widow married A. Dixon, her decease occurring in September, 1891. Our subject enlisted in the service of his country June 11, 1861, joining Company D, of the Twenty-second Illinois Infantry. He served for more than three years and was finally mustered out July 7, 1864. He participated in many of the desperate struggles that made our Civil War a notable epoch in the world's history, being a participant in the battles of Belmont. Island No. 10, Pittsburg Landing, Farmington, Corinth, Nashville, Stone River, Chickamauga and Mission Ridge. Although he was wounded three times, he was never off duty, parrying his bit of rebel lead in his body to the grave, it being a badge of honor of which he was justly proud. May 29, 1865, Mr. Davis married Helen M. Harned. She was a native of Hancock County, Ill., and a daughter of William S. and Sarah H. (McKaig) Harned, her mother being a native of Dayton, Ohio, and her father of Texas. Mr. and Mrs. Davis were the parents of live children, whose names are Eda, Ida, James Benson, Sadie H. and Clyde. The eldest daughter is the wife of John McClenny, of Reno; Ida married Charles Lohman and lives in Jefferson County, Kan.; James is single and makes his home with his mother on the farm. The two youngest children are still pursuing their studies. Mrs. Davis has a delightful home on the farm improved and cultivated by her husband, with the able assistance of her sons, and she has continued the management in such a way that it shows not the slightest deterioration. Extracted 20 Dec 2016 by Norma Hass from 1892 Portrait and Biographical Record of Montgomery and Bond Counties, Illinois, pages 370-371.